Jacob Timothy “Jake” Ball, the English Cricketer, was born on 14th March, 1991 in Mansfield, Nottinghamshire, England. The Right- handed medium pace bowler hails from a French family. He is the nephew of the former England and Nottinghamshire wicketkeeper French Bruce. Ball made his Under 19 debut for England in July 2010 during the two Youth Tests against Sri Lanka in England. He made his List A debut for Nottinghamshire during the Pro40 tournament in 2009. He made his first-class debut for Nottinghamshire in 2011 against Marylebone Cricket Club in Abu Dhabi. He picked up 3 wickets in that match. He made a single T20 appearance for Nottinghamshire that season, against Lancashire. His performances for Nottinghamshire made him the club’s young player of the year in 2012. He got his maiden England call up against Sri Lanka. He did not get into the playing XI in that series. He made his debut against Pakistan at Lord’s. He picked 1 wicket in the 1st innings and remained wicketless in the 2nd innings. Pakistan beat England by 75 runs in that match. He made his ODI debut for England against Bangladesh in Dhaka during the 1st ODI of the tour. He bowled impressively and picked up a fifer. He ended the match with the figures of 5/51. His fine performances in the limited overs earned him a place in the Test series against India. 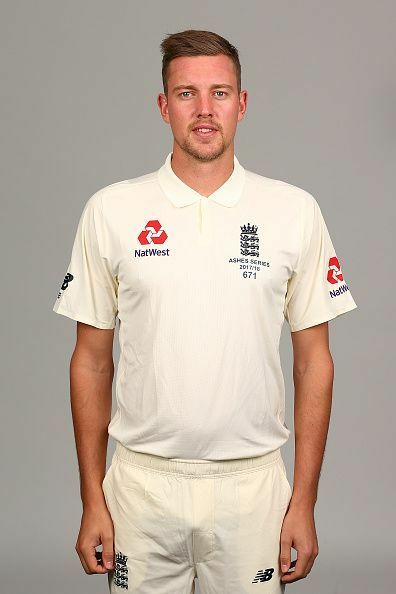 He got a place in the team in the 4th test where he picked up 1 wicket in the only innings that England bowled in, as they lost by an innings and 36 runs. In the final test he went wicketless and again England lost by an innings and 75 runs, eventually losing the series 4-0. In the ODI series against India picked 5 wickets from 3 matches. He could not perform very well in the Tests and was subsequently in and out of the team. He averages 114.3 in tests. He also could not find place in the T20 team due to his high economy rate. In an ODI against West Indies in Southampton, he conceded 94 runs in his 10 overs which is the 3rd highest for an England bowler. He represents Nottinghamshire on the County Cricket team and in 2016 played for the Marylebone Cricket Club. He is the first England bowler to take a 5-wicket haul on ODI debut. He ended up with figures of 5/51 from his 10 overs. He received man of the match award for this spell.